Young cavalry officer Jeff Stewart returns to his home in the west after the Civil War to find that a ring of crooked politicians has taken over the county, bleeding the citizens with 50% of value on the main trail, and protecting the rustlers that raid the cattle ranches. With the permission of the state governor and the assistance of Kate Wells, the postmistress, Jeff plans to open another trail to beat the toll. He also decides to resurrect an ancestor of his who, in a similar situation, took the law in his own hands-----Zorro. With the aid of Pancho, Zorro manages to thwart the conspirators and exposes the guilty culprits. A man returning home after having fought in the Civil War discovers that corrupt politicians have taken over the county and are terrorizing and shaking down the citizens. He dons the costume of his ancestor, the famous Zorro, and sets out to bring them to justice. Typical 40's cowboy shoot 'em up action. 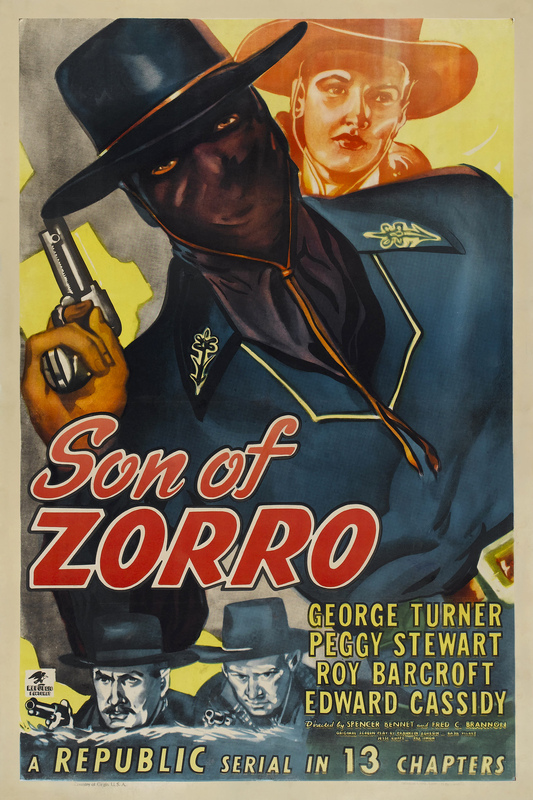 Guess Clayton Moore would not give up the Lone Ranger mask and so the name Zorro was used. Nothing Zorro about this one, just trying to cash in on a legend. Here he is running around in a black outfit, in the same basic cut of the Lone Ranger, used a gun (and not a sword or whip) and bad guys kept on getting the better of him. Maybe it's the lack of a cape.... Still it was a fun serial.... Hero returns from the Civil War and finds his home county over run by crooked politicians who are taxing everyone out of existence. Run of the mill western is pretty good but what is Zorro doing in all of this? Clearly it was time to crank out the old cliffhangers and use them again. 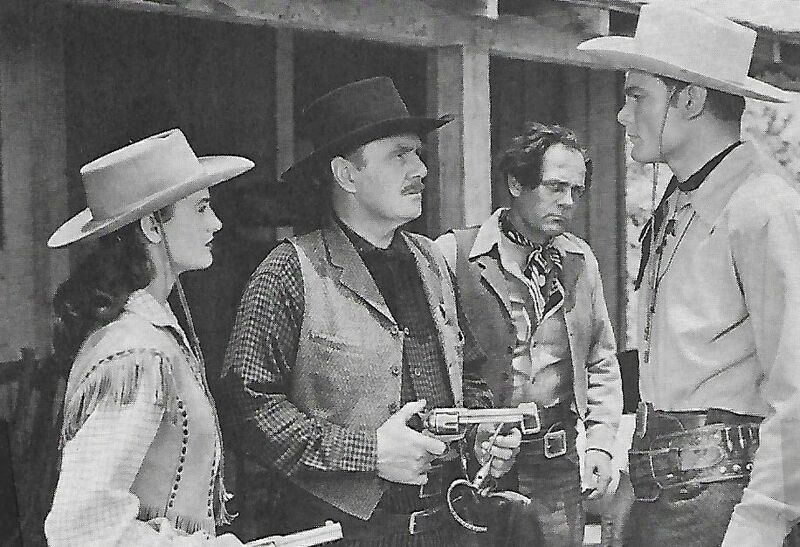 Give Republic points for turning out well done action chapter plays but take a few simply because we've seen it all before, in the B westerns they and other studios were producing. It suffers from being too much the run of the western serial mill. However if you haven't seen many serials or B-Westerns, this is a good little time killer.